The Anadolu Agency (AA) reported – quoting witnesses – that Adil Öksüz, one of the most wanted men in Turkey for his role in the July 15, 2016 coup attempt, currently lives in Germany. AA released photos of Öksüz's alleged residence on Wednesday after receiving tip-offs that he was staying in a house in Berlin. Upon the reports, Foreign Minister Mevlüt Çavuşoğlu said that Germany issued a search warrant for Öksüz, an "imam" for the Gülenist Terror Group (FETÖ). Öksüz's capture and extradition to Turkey can restore the country's eroded trust with Germany for harboring wanted terrorist suspects. Ankara has often accused Germany and other European countries for inaction on FETÖ members, particularly those who fled to Europe after the coup attempt. 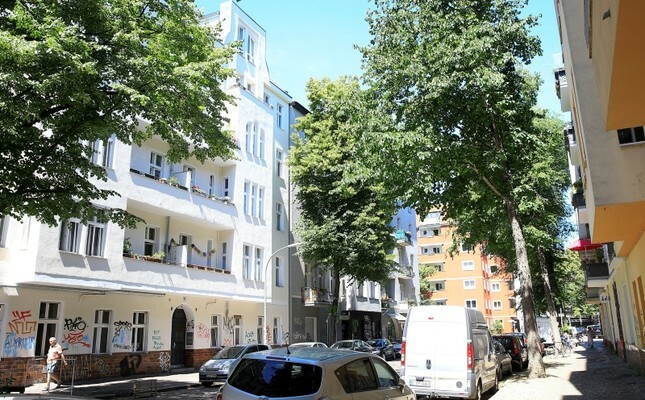 AA reported that they received a letter which said Öksüz was hiding in Berlin's Neukölln district, in a house owned by a "S. Yaşar," apparently a Turkish national. It also reported that nobody answered when AA reporters rang the doorbell. AA also says Ali A., a "prominent figure" for FETÖ in Germany, helped Öksüz hide. Ali A. is also wanted by Turkey. He is accused of organizing the escapes of FETÖ members to Germany and other European countries following the failed coup. The FETÖ terrorist group, which runs a global network of members, has its largest network in Europe in Germany. It runs a large number of associations, companies and websites in the country. Following the coup attempt that killed 250 people, FETÖ members kept a low-profile while their private schools, a main source of revenue for the group, faced a financial bottleneck as more Turks withdrew their children from the schools. The group is known for offering financial assistance to its members arriving in Germany in pursuit of asylum. More than 4,000 FETÖ members are believed to have fled to Germany after the coup attempt. Speaking to reporters about the issue yesterday, Foreign Minister Çavuşoğlu said they expected Germany to extradite Öksüz if he is caught. "Let it not be like it was in Greece," Çavuşoğlu said, referring to Greece's rejection of Turkey's extradition request for eight putschist soldiers who fled there in 2016. "Germany issued a search warrant and it is supposed to extradite him to Turkey under the current agreements and laws," he stated. Çavuşoğlu said they contacted Berlin upon reports of Adil Öksüz sightings. The senior FETÖ member was spotted in various German cities this year and last year according to eyewitnesses, though the reports were not confirmed. Last November, an Ankara court formally drafted a request for the extradition of Öksüz from Germany. "We see similar tip-offs about Adil Öksüz and other FETÖ members. Turkish intelligence is closely monitoring the situation," the minister said. "We track down every FETÖ member, be them in Germany or the United States or in Africa. You know we brought some to justice. We take every tip-off seriously and we will be in contact with Germany to speed up the process in the light of this new information." Approximately 83 FETÖ members, including senior figures, were extradited from 19 countries since the coup attempt was thwarted. President Recep Tayyip Erdoğan had announced in April that the security forces closed in on Öksüz and had intelligence on his whereabouts. Erdoğan has said that they were trying to confirm the intelligence. A senior figure of the group in Germany told local media last year that the European Union country would become "a new center" for the group. Meanwhile, Ankara condemned Berlin's decision to accept the asylum applications of several former military personnel linked to FETÖ last year. The Turkish Foreign Ministry said in a statement that Germany has shown disregard for democratic principles by welcoming coup perpetrators. Originally a theology lecturer, Adil Öksüz had a more sinister profession according to authorities. As an "imam" or point man for FETÖ, he planned the putsch attempt with terrorist group's infiltrators in the military. He is currently on the Interior Ministry's most wanted list, with a reward of TL 4 million ($981,000) for tips leading to his capture. Öksüz was first detained just outside Akıncı Air Base, a military base in the capital Ankara after the coup attempt was foiled. The base was sort of a command center for the putschists with warplanes taking off from there striking strategic locations. However, hours after his detention, a court controversially ordered his release with judicial control. Öksüz was last seen in Sakarya, the northwestern city where he taught at a university, before his disappearance. Months of manhunts across Turkey failed to yield results and authorities concluded that he fled abroad. Referred to as the "black box" of FETÖ for his intricate ties to senior cadres and prominent role in the coup attempt, Öksüz reportedly acted as the Air Force leader for the terrorist group. FETÖ leader Fetullah Gülen and Öksüz are being tried in absentia in several coup cases. Both men face multiple life sentences for their suspected role in the coup attempt that came three years after FETÖ members in the judiciary and law enforcement tried two other unsuccessful coup attempts. Hakan Bıyık, a colonel who confessed his ties to the terrorist group, had revealed Öksüz's role in the coup attempt in his testimony and detailed how Öksüz and military officers in the "Peace At Home Council" plotted the insurrection bid in a villa in Ankara. Adil Öksüz told interrogators that he was near Akıncı base to "check out a piece of land he was planning to purchase," just like Kemal Batmaz, his alleged co-conspirator in the putsch attempt, when he was captured. Batmaz, currently in jail on coup charges, was a former executive of a FETÖ-run company and was among other "civilian" FETÖ members captured at or near the air base. "Öksüz told us that Gülen instructed the generals, FETÖ's infiltrators in the military, to convince [Chief of the General Staff] Hulusi Akar to join the coup," Bıyık told a court in February during a hearing in the trial of 227 defendants involved in the coup attempt. According to Bıyık, Gülen told Öksüz that "[Hulusi Akar] would be put into retirement this summer." Indeed, several generals were expected to be retired by a supreme military council overseeing the army's appointments in August 2016. "We discussed everything from how to kidnap President Erdoğan from his Istanbul residence and then taking him to a military ship, to the kidnapping of the prime minister and interior minister using Special Forces as well as the kidnapping of the intelligence chief," Hakan Bıyık told the court. "Failure was not an option. When we talked about what we would do if the plans were unsuccessful, Öksüz told us not to think the worst."